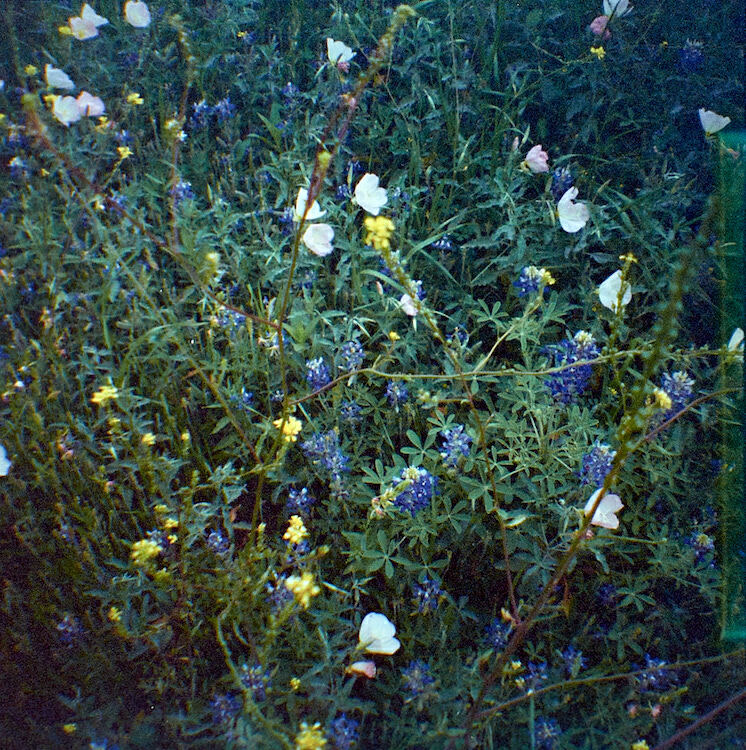 So after I finished a whole roll at half frame, I wanted to see how the Diana Mini handled in square format, and slapped in a roll of Labeauratoire’s Scotch Imation Color HP 100. In hindsight, I probably should’ve shot half frame with the Scotch Imation, since it’s rolled with merely 12 shots per roll vs. the Hawkeye’s 20 frames. Oh well, next time maybe. 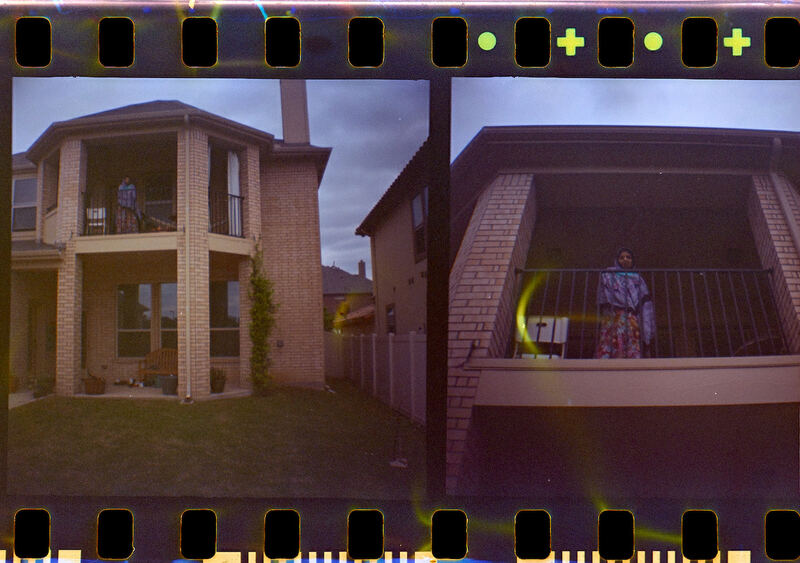 Ordinarily, the Mini winds square pics as if they were whole 35mm frames to facilitate printing by one hour labs and all, but there’s a post on Lomography’s website that provides click counts to move the square frames closer together and fit more on a roll. Apparently, my counts were off, because I had some gaps that were wider than others, and a couple of overlapped shots, hence the non-square frame on the right. I assumed that the counts would be the same for both, but maybe I miscounted or something… sometimes the clicks come really rapidly, 2 or 3 or 4 all in a row, and sometimes I counted too many clicks, so I bet sometimes I counted too few too. Anyway. Pardon the green whirls in that. 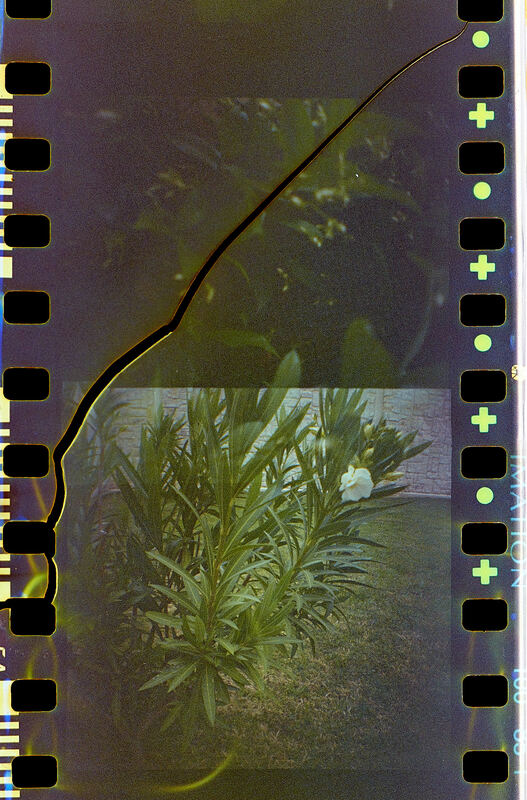 The film got stressed in the camera… looks like I overwound at some point. Other than that, I shot a bit quickly and carelessly again. I really need to either stop doing that, or get myself a pocketable digital camera to shoot willy-nilly with and use film with purpose. The films I have on hand now are all expired, hand rolled, or otherwise limited, and deserve to be shot with care. Scale/Zone focus and I don’t get along. I have no idea what 2 meters looks like, other than it’s something like 6 feet, and so am I, but 6 feet looks much farther away to me than it really is. I was hoping one of the flowers would be in focus and the ground a bit further out, but then I can’t judge distance very well, nor do I know much about the characteristics of the lens on the Mini. One thing… these all look a bit dark. I pulled back a couple of stops in post to reduce apparent grain, and I’m not sure if the apparent grain came from the film itself, the way it was exposed in the Diana Mini, or the D7000 scanning (probably not the D7000: it was at ISO100). Most of the shots on this roll were shot outdoors, under partly cloudy/mostly sunny skies. I’m not sure if I shot on the Sunny or Cloudy setting… at ISO100 under full sun, the sunny probably would’ve been about right, but cloudy maybe a stop over. But maybe the roll was underexposed and so maybe the grain was digital and due to trying to match what I remembered, rather than pull out what was on the film. And maybe the Imation Scotch is a bit grainy (though there’s no evidence of that in the examples). I guess it was underexposed, so maybe it was cloudier than I remember and maybe I had the aperture set to Sunny mode. Allahu Alim, at this point. The Imation Scotch film is fairly flat, and easy to scan, with good colors. The rolls from Labeauratoire are short, but probably worth it if you like to play with different (expired, largely unavailable) film stocks. 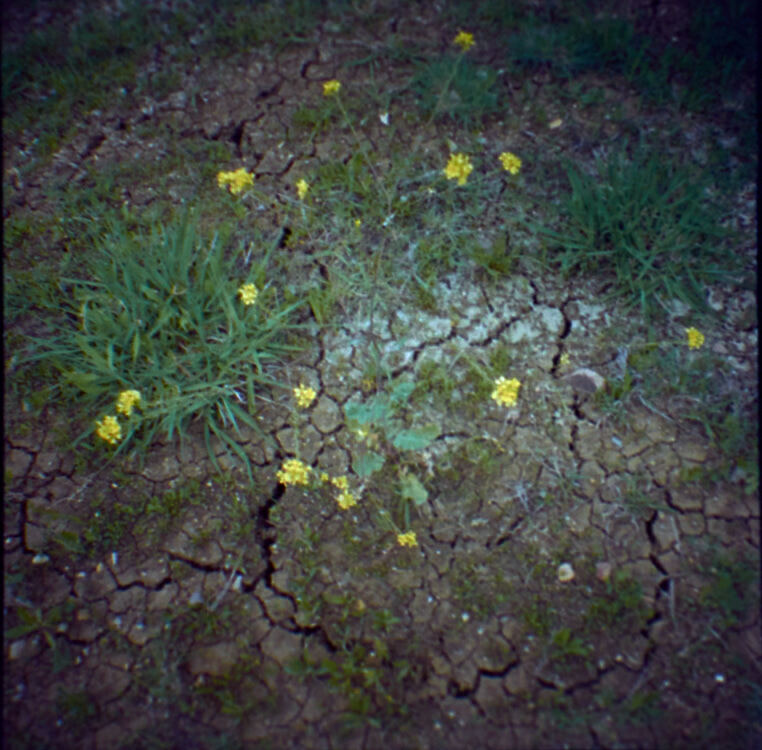 I’ll probably shoot the rest of it in one of the Nikons or the LC-A, but maybe in a couple of months, I’ll try again with the Diana Mini. I’ll be keeping it, for sure, but I’m not sure how much action it will see, given that my Ultimate Exposure Computer is offline at present.